Ryan Seacrest Drops Bombshell at End of ‘American Idol’ Finale: Is the Show Coming Back? 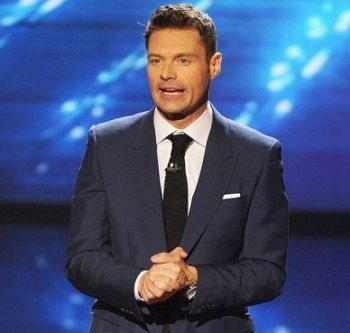 Ryan Seacrest left all of America hanging last night during the American Idol series finale. As he closed the show for what was supposed to be the final time ever, a choked-up Ryan dropped a bombshell on the 13.3 million viewers watching the two-hour, former-contestant-filled finale last night. “And one more time – this is so tough – we say to you from Hollywood, goodnight America,” Ryan said, as the lights went down on the stage. The show ended with no explanation of what Ryan meant by those last two words, but the show’s creator, Simon Fuller, gave Billboard some insight on the future of the supposedly shuttered show. He added that the new-and-improved ‘Idol’ will be meant for “a new generation” of fans. It’s no secret that ‘American Idol’ has suffered in the ratings over the past few years. Once the industry ratings giant, the show began to plummet in the ratings starting somewhere around Season 11 in 2012. Simon Fuller said that, now that the show is officially off the air, he actually has time to think about how to revamp it to become the ratings giant it once was. The Ashley was thrilled with last nights’ series finale, which brought back nearly 50 of the show’s former contestants for a series of star-studded performances. To read about The Ashley’s favorite moments from the finale, hop on over to Today.com by clicking here!